By order of the Board of Supervisors in September 2007, the San Bernardino County Homeless Partnership (SBCHP) was formed to provide a more focused approach to issues of homelessness within the County. The Partnership consists of community and faith-based organizations, educational institutions, non profit organizations, private industry, and federal, state, and local governments. 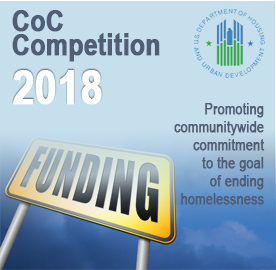 SBCHP was developed to promote a strong collaboration between agencies to direct the planning, development, and implementation of the County’s 10-year Strategy to end chronic homelessness. The Partnership provides leadership in creating a comprehensive countywide network of service delivery to the homeless and near homeless families and individuals through facilitating better communication, planning, coordination, and cooperation among all entities that provide services and/or resources for the relief of homelessness in San Bernardino County. 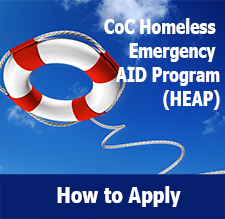 Who can I call if I need assistance with basic needs or other homeless resources? Please contact United Way 211 by calling “211”. The 2-1-1 Coordinated Entry System (CES) is available in San Bernardino County, 24 hours a day, 7 days a week. By dialing the 3-digit calling code, 2-1-1, the caller is connected to a live, bilingual homeless assistance call specialist who will help assess the caller’s situation and streamline access to homeless assistance services, screen applicants for eligibility for these and other programs in a consistent and well-coordinated way, and assess needs to determine which interventions are the best fit for each individual and/or family.